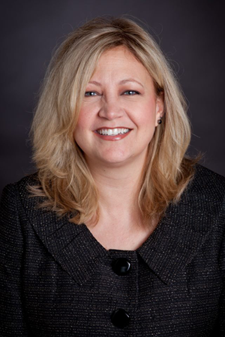 Attorney Leslie Christensen has been an attorney since 1999. She has experience in all areas of family law, including focused experienced in contested custody cases as well as removal cases. She also has extensive experience in juvenile law and grandparent rights cases. Prior to forming Family & Juvenile Law Omaha, Ms. Christensen practiced at a juvenile law firm, serving as guardian ad litem for abused and neglected children. Prior to that, she worked as a solo practitioner focusing on family and juvenile law. Ms. Christensen is an accomplished stage performer and vocalist. She serves the community as a mentor with Big Brothers, Big Sisters of the Midlands, and in the Kiwanis Club of Omaha. J.D., Creighton University School of Law, 1999. Member, Nebraska Bar Association Family Law Section. Member, Omaha Bar Association. Member, Kiwanis Club of Omaha. "Big Sister," Big Brothers, Big Sisters of the Midlands. Jane is the Office Manager/Administrator for Leslie Christensen Law. Jane moved to the United States in 2001 and owned/operated her own production company for several years. Jane has administrative experience both here and in Australia, and is a valuable asset to the law office.